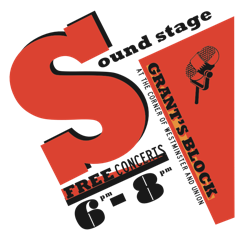 There will be FREE live music at Grant’s Block Friday’s this summer starting this week through September 7th. Music begins at 6pm with food and drink available from Tazza Caffe. Visit In Downcity for more details.